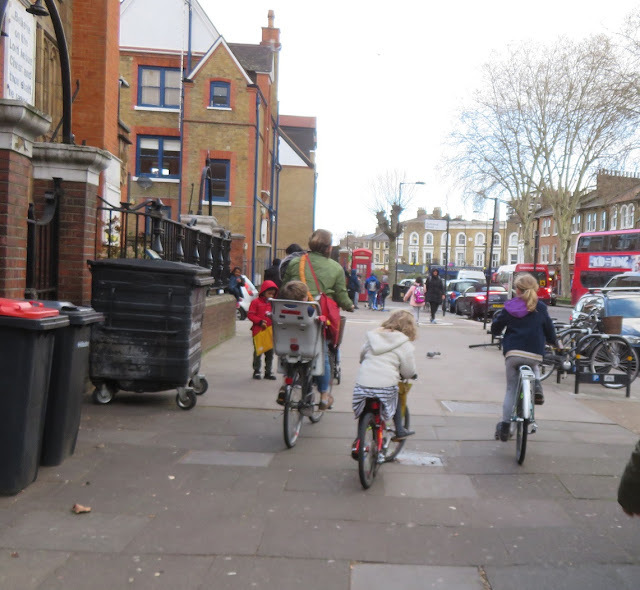 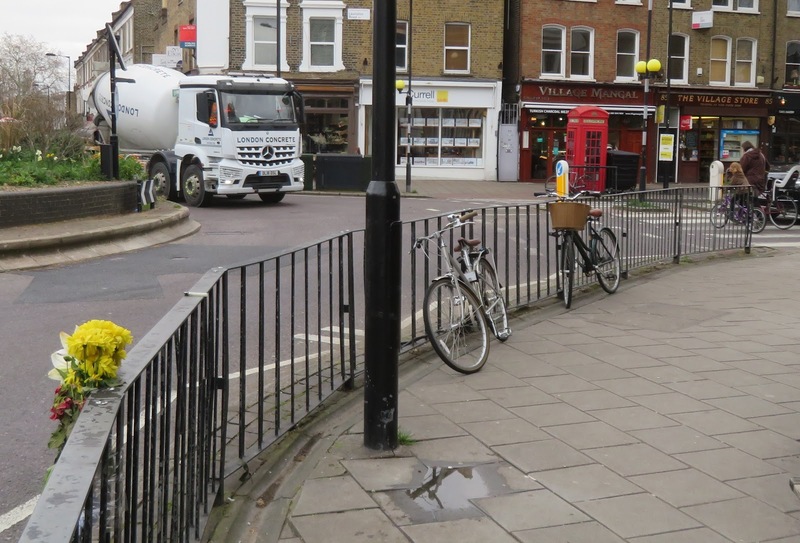 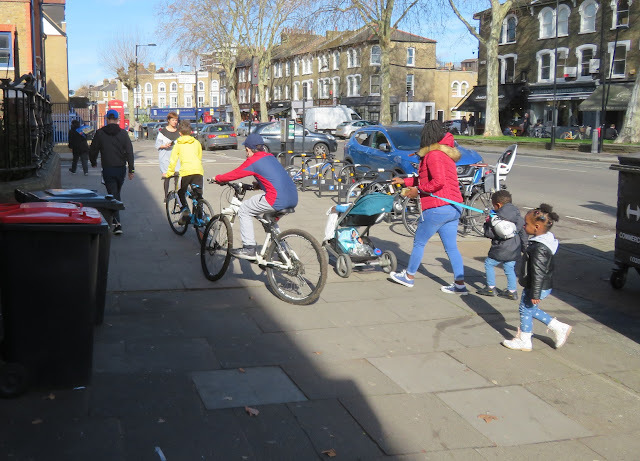 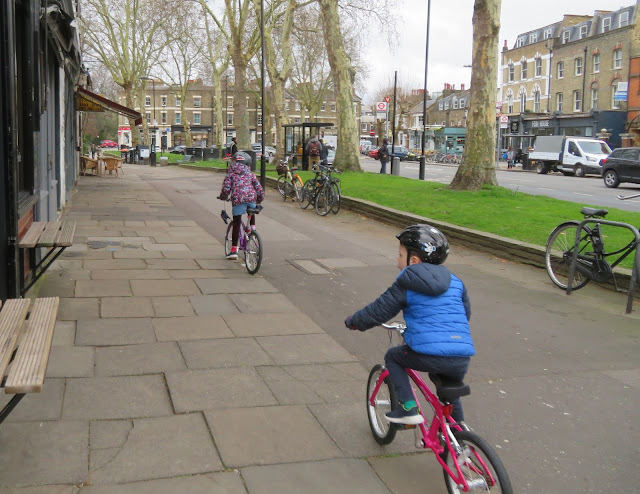 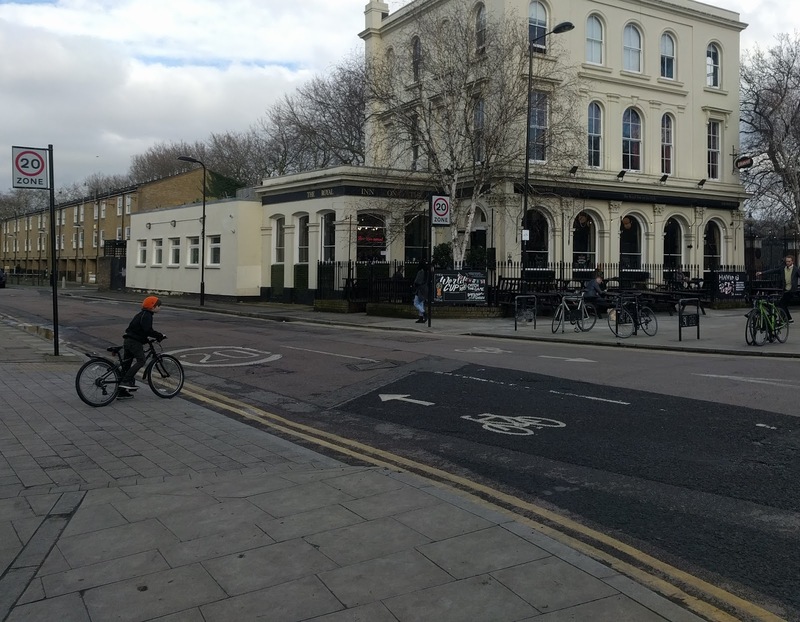 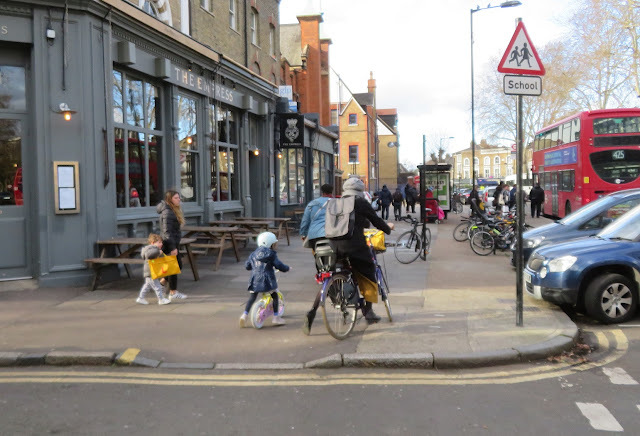 Almost every time I am i this area I see people cycling on the pavement, usually young children and families. 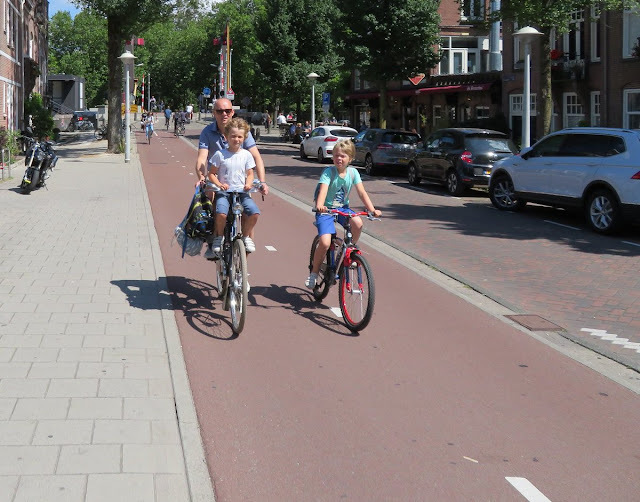 I've spent some time walking along this road taking photos over the past week and even I was surprised at just how much pavement cycling by families happens here. 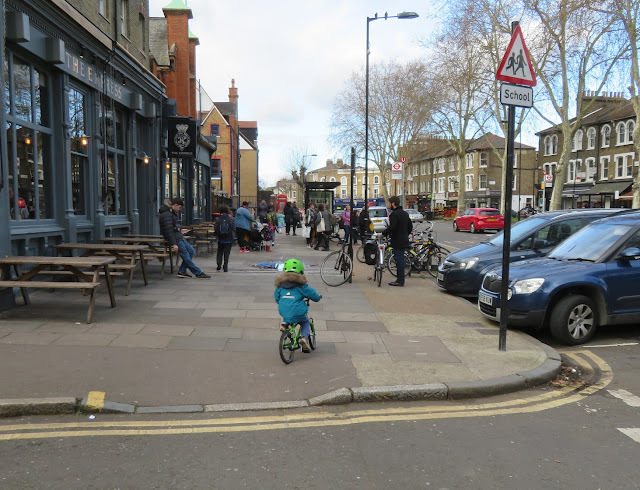 All photos used in this blog have been taken within the past week. 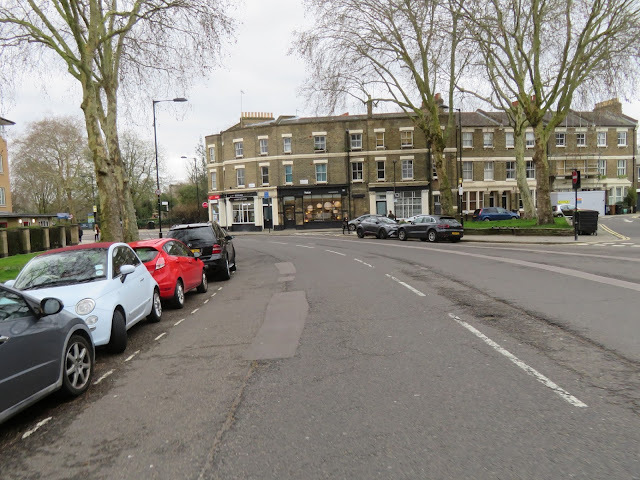 As Grove Road exits Tower Hamlets and turns into Lauriston road in Hackney the road has a very cycle-unfriendly road surface, consisting of uneven stone setts. 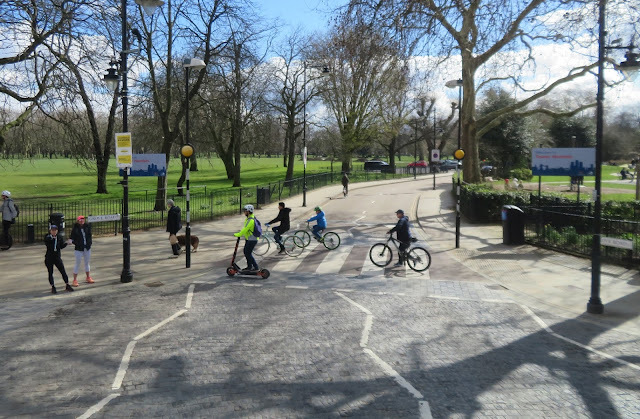 This was installed during the upgrade of Victoria Park prior to the 2012 Olympic Games and designed to slow down traffic. 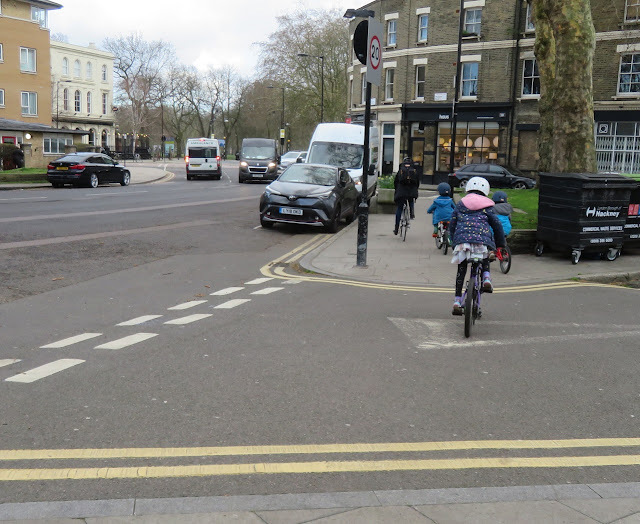 Ideally this should be replaced with a smoother surface and, ideally, a tiger crossing to link the two parks, rather than cyclists having to hop on and off the pavement to use the zebra crossing. 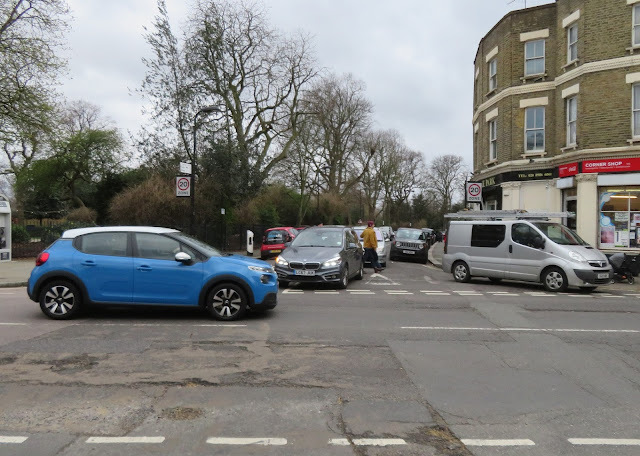 As you enter Lauriston Road from Grove Road its noticeable just how wide the road here is, with an exceptionally wide carrigeway, you could fit about six lanes of traffic here and still have space left over for parking on both sides of the road! 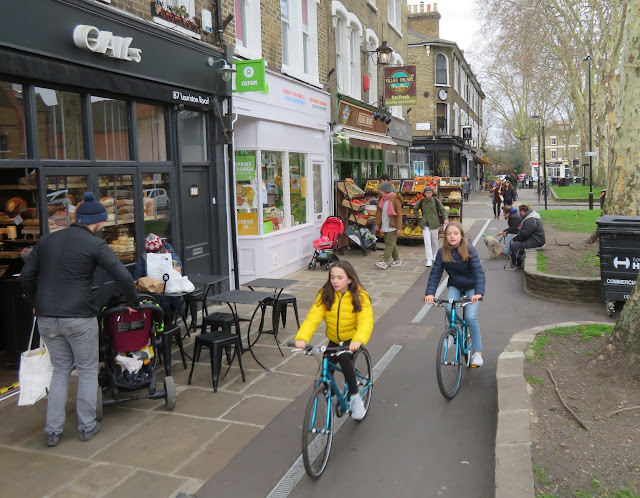 There is clearly ample space here for protected cycle tracks, with floating bus stops with plenty of room left over for a narrower roadway, and to retain parking and loading. 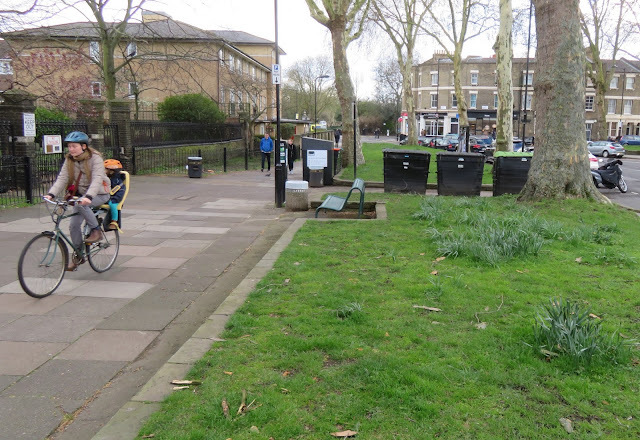 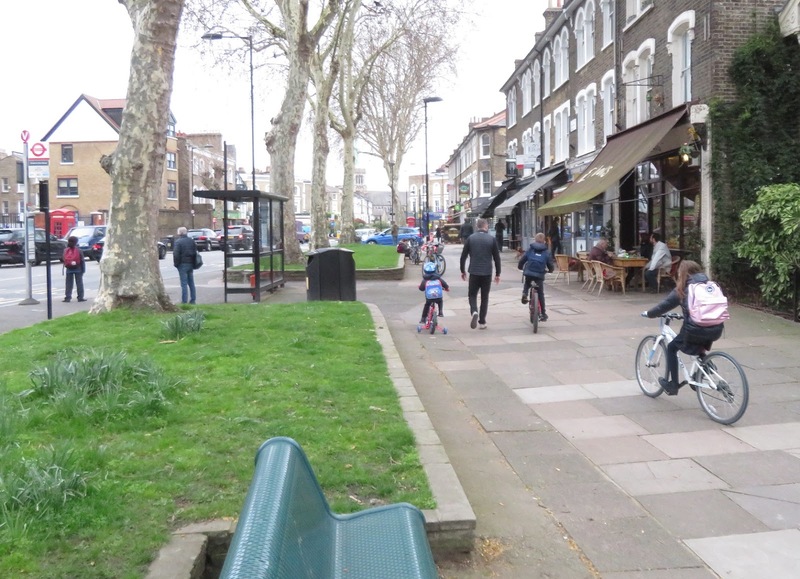 I've always thought most of the grass here could make way for a protected cycle track, with the bike parking moved closer to the road between the trees. 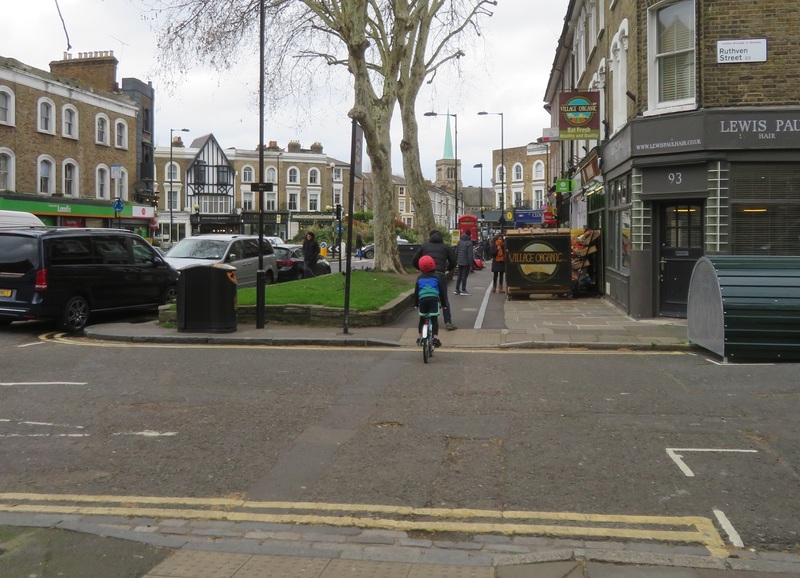 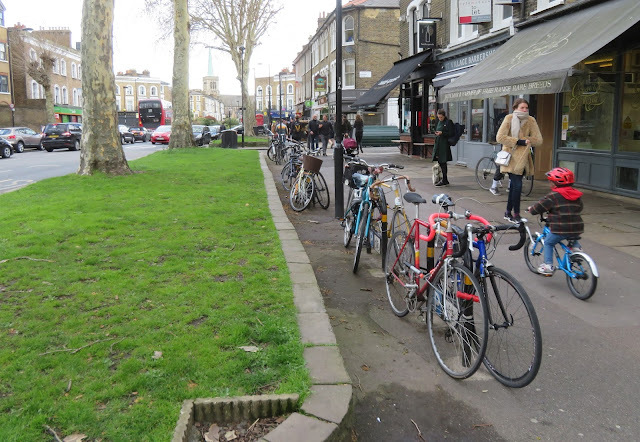 This would ensure the cycle track is close to the shops and create more space for pedestrians. Note the mum and her child cycling on the zebra crossing in the background. Would you cycle with your children on this roundabout or would you stick to the crossings? Victoria Park Road is a horrible road to cycle on; filled with lorries and coaches using it to drive from the A12 into Central London. 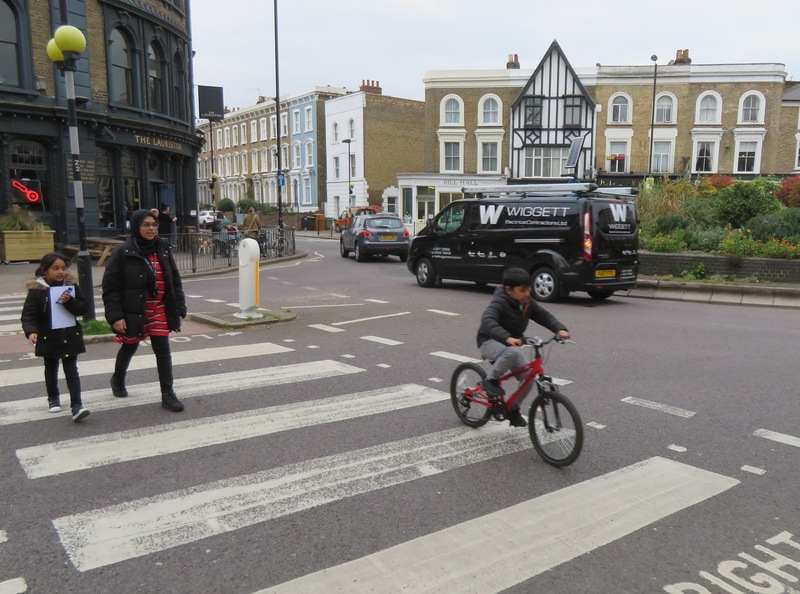 Nearly 12,000 motor vehicles use it everyday with 93% of them breaking the speed limit. People cycling should not be expected to share with lorries and buses on a roundabout like this and it's frankly disgraceful that nine years on from Shivon Watsons death no changes have occurred here. 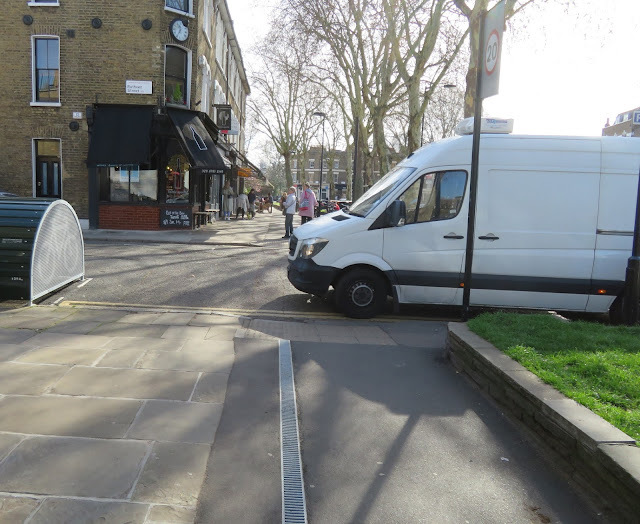 The proposed route in this consultation is a wonderful opportunity to finally fix this deathtrap, which makes it all the more bizarre the backstreet route is even being considered. 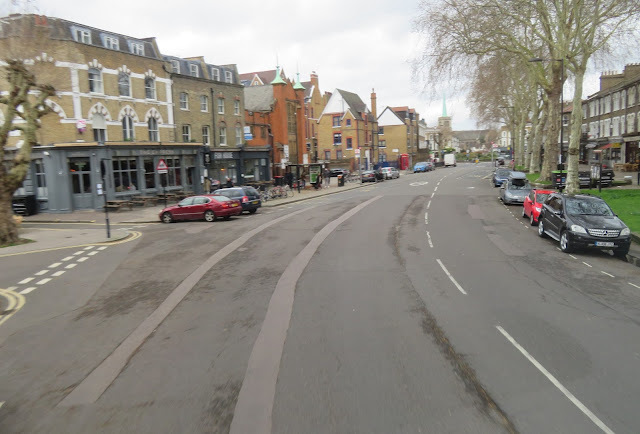 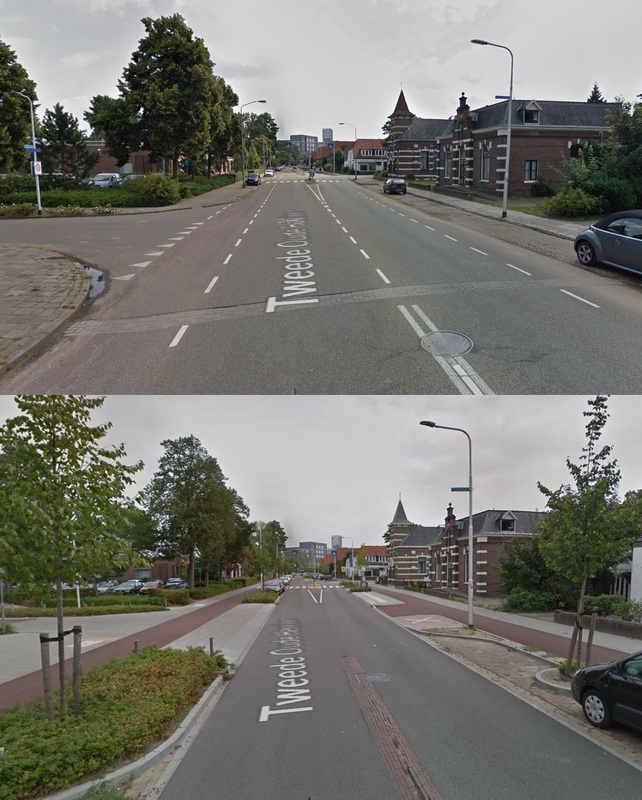 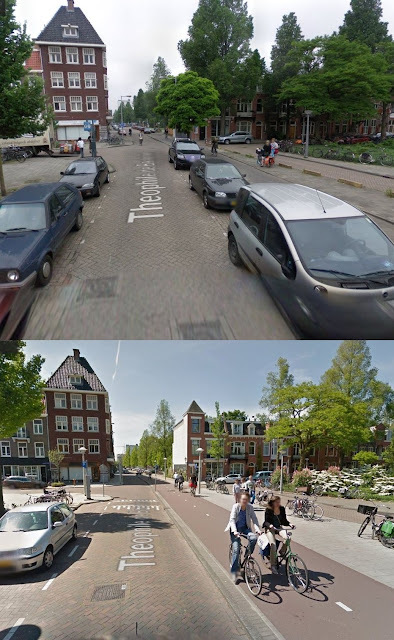 Does this road layout put pedestrians and cyclists at the top of the road user hierarchy, with cars at the bottom? 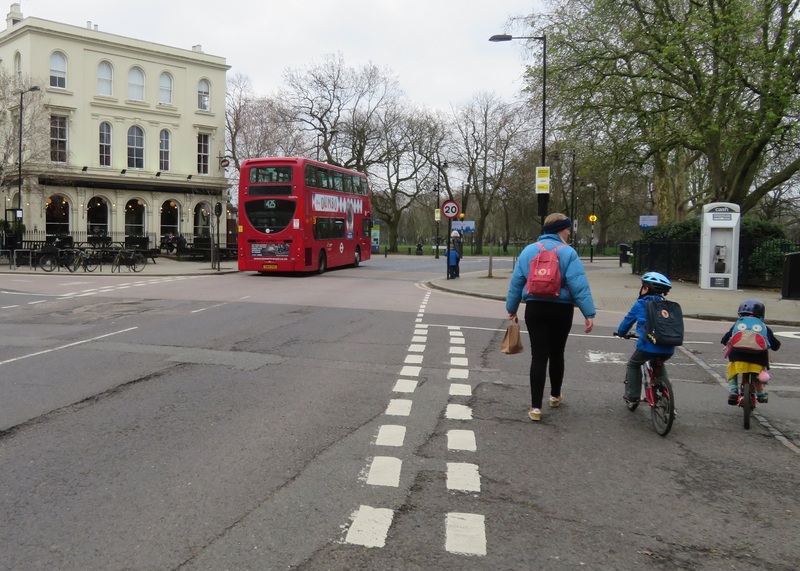 Transport for London state that the route options are not decided and that they will be refined based on comments and feedback. 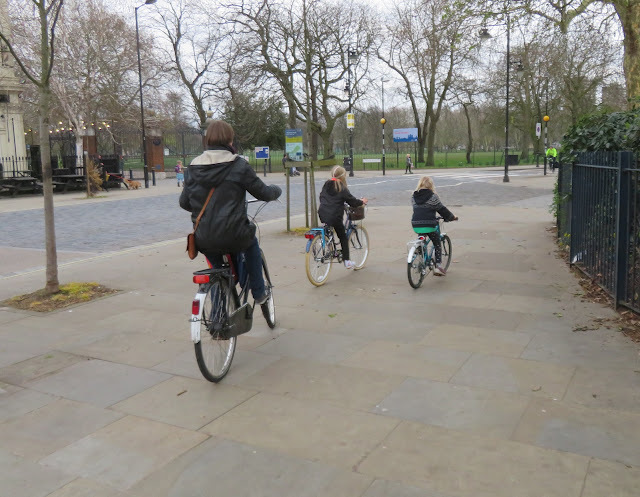 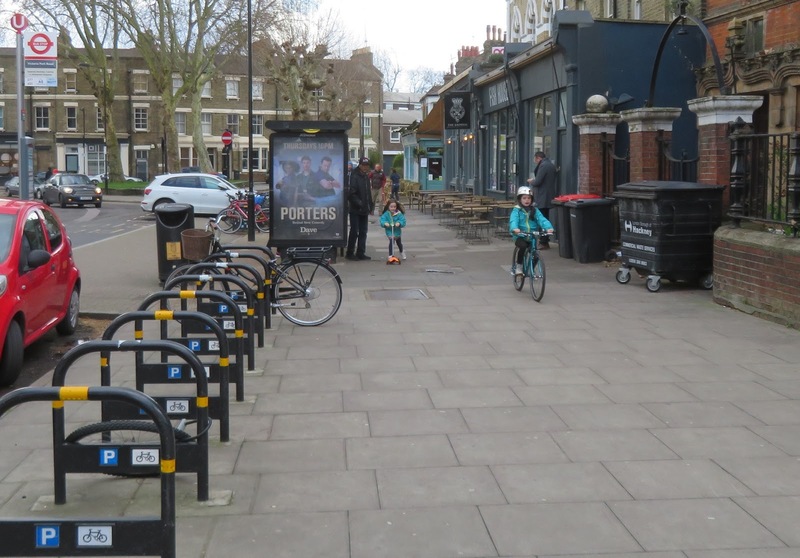 You can email them via newcycleroutes@tfl.gov.uk with ideas, comments and suggestions up until 31st March. 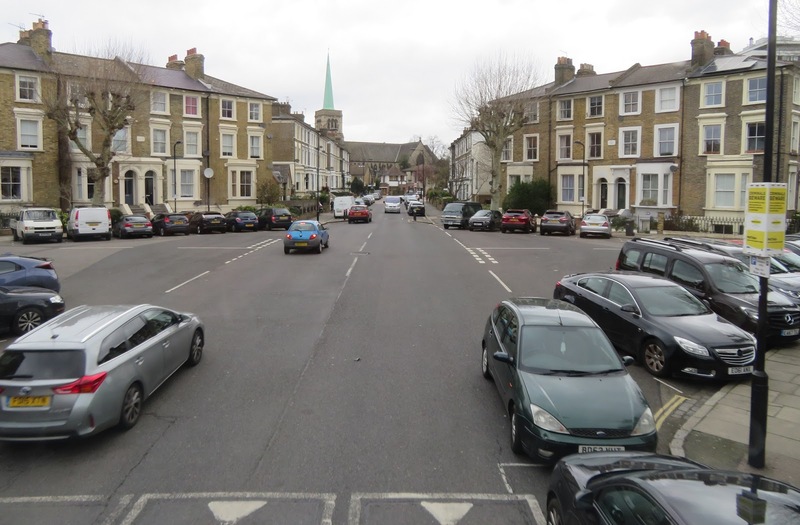 If you live in or visit the Victoria Park area and would like Lauriston Road to be improved for people walking and cycling then please do respond.